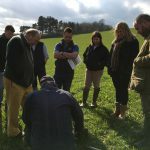 A cross-section of farming tenants from our Staffordshire Survey attended the Duchy’s second dedicated soil management workshop at the Allerton Project in Loddington earlier this month. Responsible soil management is one of the key initiatives announced by the Duchy last year as a means of delivering its commitment to environmental sustainability. 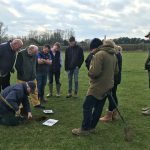 All those present were keen to learn about the variations in local soil and the environmental impact of various farming practises on its long-term health. 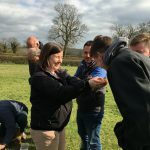 Tenants had been asked to bring soil samples with them to demonstrate the wide range of different soil types present in a relatively localised area and exchange their ideas on best practice. The Allerton Project is owned and run by the Game and Wildlife Conservation Trust (GWCT). It provides a unique combination of commercial farming, scientific research, practical demonstrations and community engagement which informs policy and practice at both a macro- and micro-level. Visitors to the Project include policy makers, regulators, farmers, advisors, students, members of the local community and schools. We have a number of initiatives that involve the local community in improving our shared understanding of agricultural and environmental issues. 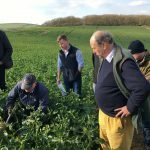 During the visit tenants and members of the Duchy’s senior team also discussed changes to farming subsidies due to come into force in 2022 and acknowledged the importance of responsible soil management as a key environmental target.